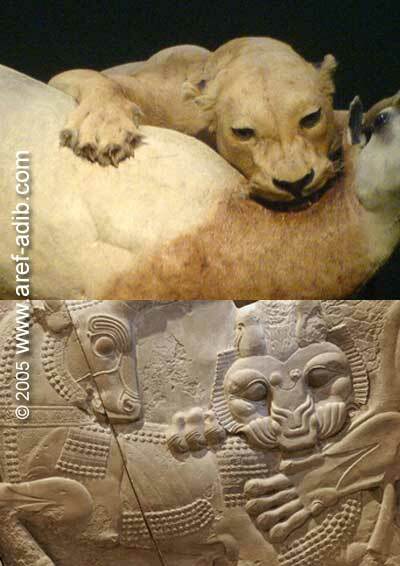 Diorama of a lion attacking an antelope and a stone relief on the western fa?ade of the west staircase of the Palace of Darius at Persepolis. Last week I went to Henri Rousseau's exhibition at Tate Modern. Rousseau created some memorable and great paintings. One of them is his painting The Hungry Lion 1905, which was based on the diorama of a lion attacking an antelope. This also reminds me of the stone reliefs at Persepolis.